At least two advertisers say they're suspending ads from comedian Samantha Bee's television show. The backlash follows the latest episode of TBS's "Full Frontal with Samantha Bee" in which Bee called first daughter Ivanka Trump a vulgar name. "As a result, Autotrader has suspended its sponsorship of Full Frontal with Samantha Bee," the company said. 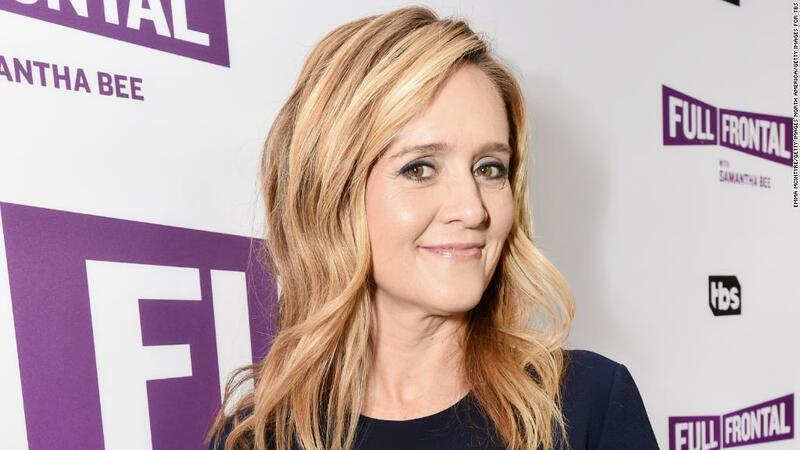 When asked if Autotrader planned to resume airing ads on "Full Frontal" in the future, a spokesperson said: "We will not run Autotrader advertising on Samantha Bee's show moving forward." State Farm said in a statement that it has "asked TBS to suspend our advertising in the program and are reviewing any future placements. We constantly review programs to ensure alignment to our programming guidelines and brand values." The decision came after Bee referred to Trump as a "feckless c***" on her TBS show. Bee's comment came during a monologue in which Bee went after Trump for failing to take action to prevent undocumented immigrant children from being separated from their parents. Bee apologized for her remarks amid online backlash Thursday. "I would like to sincerely apologize to Ivanka Trump and to my viewers for using an expletive on my show to describe her last night. It was inappropriate and inexcusable. I crossed a line, and I deeply regret it," she said in a statement. TBS said in a statement earlier Thursday that Bee's comments "should not have been aired." "It was our mistake too, and we regret it," the network said in a statement. TBS declined to comment on Autotrader's decision to suspend its ads. The controversy prompted a response from White House Press Secretary Sarah Sanders, who said Bee's language was "vile and vicious." In recent years there have been several significant ad boycotts against conservative television stars like Sean Hannity and Laura Ingraham. There have been fewer movements against liberal hosts like Bee. Time will tell whether this erupts into a full-blown boycott of Bee's program. Companies are known to ask for their ads to be removed when a controversy engulfs a program. These changes are usually just temporary, but can sometimes become longer-lasting. The boycott against Ingraham, last March and April, became significant enough that Rupert Murdoch stepped in. Fox News issued a statement that said "we cannot and will not allow voices to be censored by agenda-driven intimidation efforts." — CNN's Frank Pallotta contributed to this report.